Clip and Magnet Mounts Included: The light comes with a Clip and it also has an EXCLUSIVE patented magnet on the back allowing it to be mounted virtually anywhere. Easy On/Off: The light turns off and on like a mag-lite. Swiveling Light Control: The Light Swivels for total light control. Full 6 Hours of Battery Life: Comes with 3 watch batteries that last six hours straight. 90 Day Warranty: The Interior LED Clip-On Lights comes with a 90-day warranty. The Rampage Products Interior LED Visor Clip-On Light With Magnet has all sorts of uses. You can clip it on your visor, hang it from the refrigerator with the magnet, or even clip it on the bill of your hat. 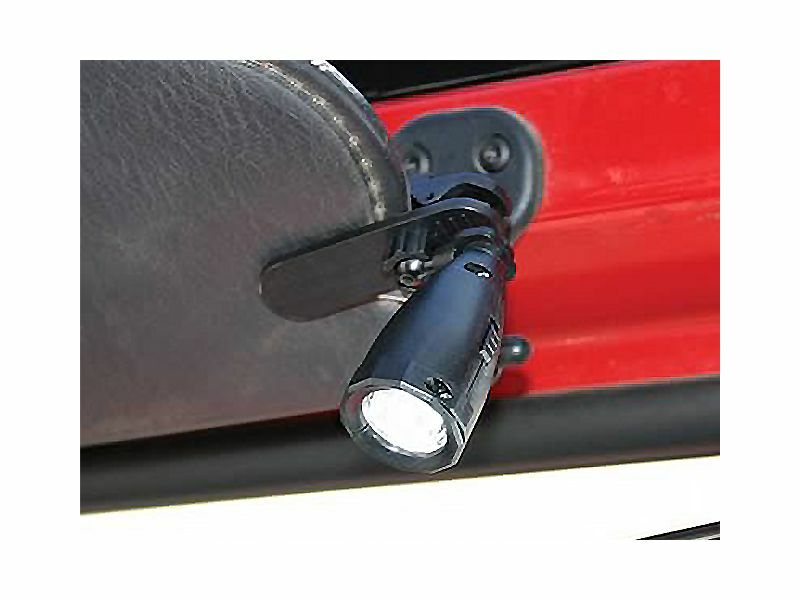 It works great as a light when you don't have one for the interior of your vehicle. Also works great on airplanes, long road trips or just a reading a book in the dark. The Rampage LED Clip-On Light comes with a 90-Day Warranty.